Looking for something to do while you are in town visiting your college student? 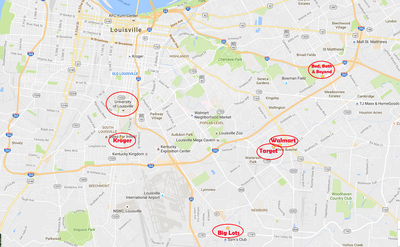 The city of Louisville has a ton of exciting venues to visit. Game Days: C-A-R-D-S! Come join us to cheer on the Cardinals. Click here to see our home game day schedule and to purchase tickets! In 2015, Louisville was voted the #1 Food City in the world by National Geographic! With that being said, here is a list of some of the best places to get your grub on. Looking to give back while you are in town? Here are some of our favorite places to volunteer in the City of Louisville. For more a more detailed list of what the city has to offer, please visit the Louisville Convention & Visitors Bureau or check out our "Louisville, KY" board on Pinterest! Your student's new home has so much to explore. Enjoy!